Our client is a FTSE 100 manufacturer working within the medical device industry, with multiple worldwide production facilities. The company culture is one that heavily utilizes the Continuous Improvement model and requires a new member of the Quality Engineering Team. This is a senior role within their site in South Wales and will be a major asset to the team during an exciting period of multi-million pound production process expansion investment for the business at their site based in Rhymney. Our client is a FTSE 100 manufacturer working within the medical device industry, with multiple worldwide production facilities. The company culture is one that heavily utilizes the Continuous Improvement model and requires a new member of the Quality Engineering Team. This is a senior role within their site in South Wales and will be a major asset to the team during an exciting period of multi-million pound production process expansion investment for the business at their site based in Rhymney. This will be a great time to join a company riding the crest of the wave at the moment. They became FTSE 100 late last year and have been investing millions in both of their UK production sites in recent months leading to headcount increases on both sites. They are looking for a well-qualified Quality Engineer to manage the performance of the sites quality systems, and quality control processes that they already have in place. At present this role is being managed by a team, but this position has really outgrown the team now and requires an experienced individual to drive things forward. The plant is a wet Chemistry plant producing the raw materials through chemical processes, mainly using batch production methods that are then send up to Deeside to be manufactured into the end product. The company follow a Kaizen CI process improvement model so any new ideas of suggested improvements are welcome and would be encouraged. The site contains around 150 employees and are currently in the process of adding a number of new production areas and processes in the coming months taking them from maybe 20 lines towards 25 lines by the end of the year all going well. This will help the site service the demand on their other site in the UK, as they too are increasing production by around a quarter in terms of capacity in the coming months due to new product implementations. They are looking for a well-qualified Quality Engineer to manage the performance of the sites quality systems, and quality control processes that they already have in place, in line with the regulations and established customer requirements. The industry is very regulated so the candidate will need to come from the Pharmaceutical or Medical Devices industry to have the relevant exposure to ISO 13485 and 21CFR. Your aim will be to ensure compliance to corporate quality systems, throughout the entire life cycle of a product from process development, through design, validation and then launch. The plant is mainly wet Chemistry based producing the raw materials that are then transferred up to their other production facility to be made into the end product. This company truly manufacture all of their products themselves. Your positon will sit underneath the Quality Assurance Manager Claire and will be very senior on site. You will hopefully have hands on experience in contributing to the manufacture of new products in a batch or mass manufacturing environment and be used to the transfer of products and processes between different sites. Your aim will be to investigate non-conformance, perform investigations and author and review QMS. The right candidate will have really good analytical skills and also a good grip of the regulations the products must adhere to, namely ISO 13485, 9001 and 21 CFR. You'll also be hands on working on the validation side of things to validate processes and help improve data and getting to the bottom of RCA for materials always in keeping with GMP. You may be asked to get involved in post launch reviews into others work, to investigate performance issues and provide improvements based on your evaluations. Last year the company introduced production of 22 new products in the UK and you'll be overseeing a number of new product rollouts yourself. You will have a desire to work for a FTSE 100 company and add value and take ownership of given projects. You will have quality management experience, preferably in a pharmaceutical or medical environment. You'll take responsibility and not refrain from adding input into projects and getting involved and offering assistance to neighboring colleagues whose roles impact yours, in what is a highly regulated industry. You'll be a logical thinker, who can analyze and interpret issues at different stages of a life cycle from process development, through design, validation and then launch. You'll be very familiar with regulations faced in the medical/pharma industry, such as GXP compliance, ISO 9001 and 13485, GSR, MDD and GMP. If you have some of these areas of knowledge but not others, the client are happy to train in these given areas, so please still apply. Knowledge of regulatory and GXP requirements for a medical device manufacturing or related business. 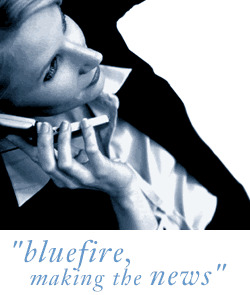 Bluefire Consulting is an equal opportunities Employment Business/Agency specialising in Pharmaceuticals recruitment on a UK wide basis.